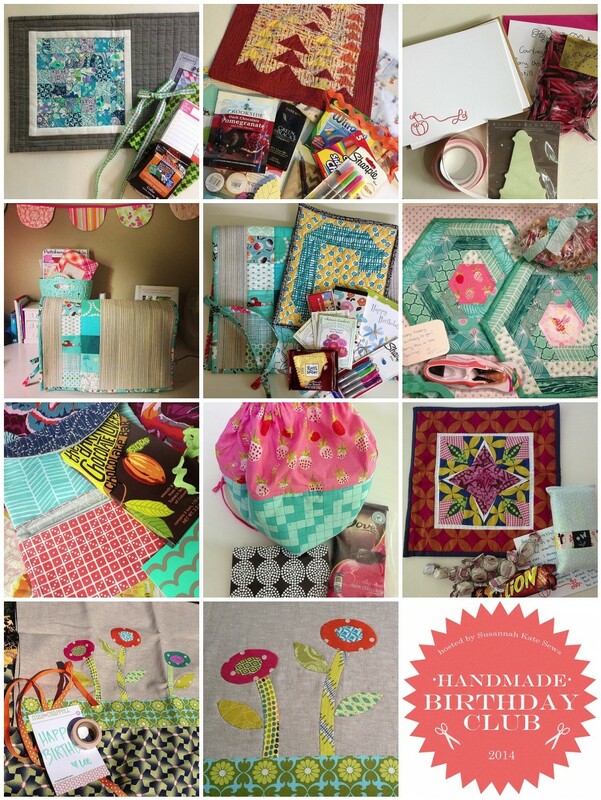 Last year I joined a group started by Susannah Kate called the Handmade Birthday Club. The idea is that you are in a group with 11 others and about once a month it's someones birthday and you all make something handmade for them. 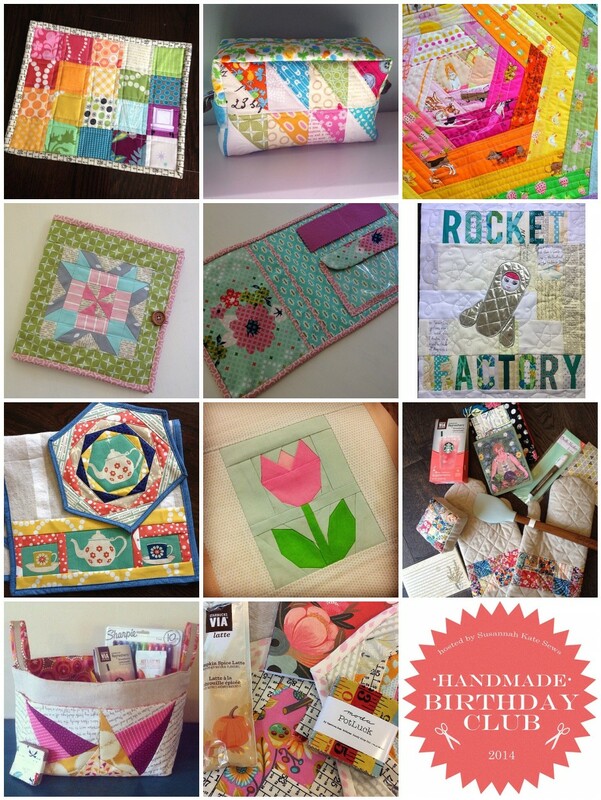 So, over the course of the year you make 11 gifts and on your birthday you receive 11 lovely, handmade packages! It worked out really well. I knew a few people in my group, and got to know them even better, and made some new friends, too. I made my 11 gifts and got 9 in return, which in terms of swappy things like this, I think isn't too bad. Plus, the 9 gifts I got were all amazing! It really was a fun year of making (and receiving!) but I took a year off. I do miss it, so I'll probably go back to it for 2016. You made and received some gorgeous gifts. I sure love mine !